In the heart of leafy Edgbaston, St George’s Place retirement village is moments from Birmingham. 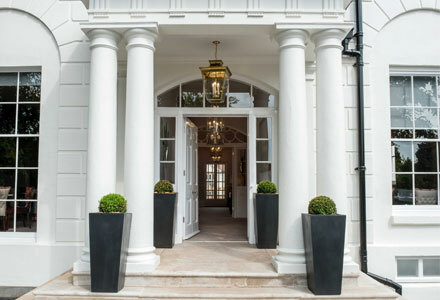 Two Grade II listed Regency villas, a restored Victorian building and new buildings house 95 luxury cottages and apartments. Phase 2 - This south-facing apartment has ample natural light with a private balcony overlooking the heart of St George’s Place retirement village. Audley Redwood village is set within 15 acres of landscaped parkland, moments from Bristol. The village comprises 106 apartments and 20 cottages, all built to complement the local Georgian architecture. Audley Cooper's Hill is located in the beautiful village of Englefield Green, near Runnymede in Surrey. Planned to open in 2019, this luxury village will be the first of its kind in the area. Audley's first retirement village in London overlooks Clapham Common and is adjacent to Clapham South tube station. When completed in 2020, the village will have 94 one to three bedroom apartments as well as a pool, cinema, restaurant and health club.